So. It’s father’s day. And we are doing…nothing. Why? My husband’s father is in Texas. So obviously, we’re not spending the day with him. My biological father is, for reasons that should be obvious by now, not in the picture. So obviously, we’re not spending the day with him either. But that doesn’t mean I’m not celebrating. As the body of Christ, we’re all one big family. Because of this, I have many “fathers” in my life who have taught me, nurtured me, challenged me, and helped me to grow in my faith. They have greatly impacted me and many others, and they deserve honor today. However, they’re not who I want to write about here. This post is for a man who I have never seen as a “father-figure” to me. This post is for my big brother, Rob. Those of you who are following me on twitter have probably seen us banter back and forth. I call him my brother, he calls me his sister. Truth is, we’re not even a little related. 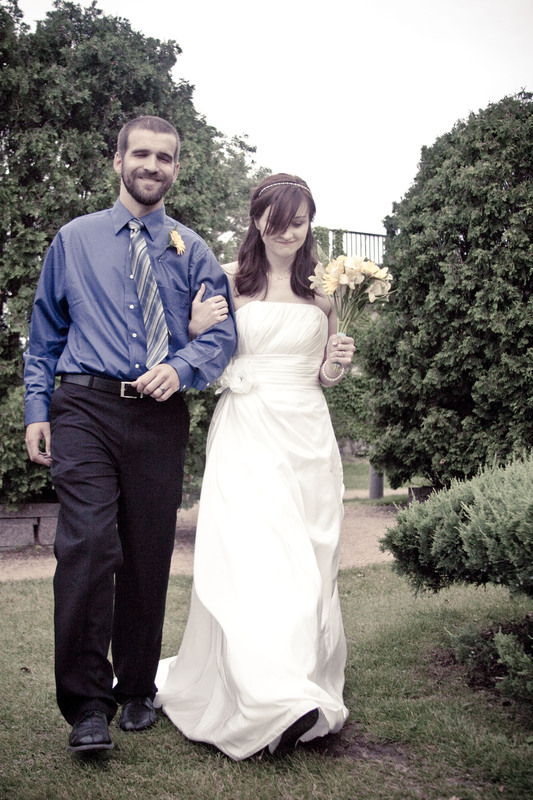 Rob and I met in the fall of 2010. We were both in a pre-ministry training program at our school. Through a series of public humiliations, mostly him humiliating me, we became fast friends. Since we were in the same major, it was easy for us to remain friends throughout the next two years of school, and continue to be good friends today, despite the fact that I am about as annoying as you can imagine any little sister could be. We have very similar, but at the same time very different, stories. We both come from less-than-normal families. We were both non-trad students. We both had a season of godlessness in our lives. I think this is part of why we’ve managed to keep a good friendship–to an extent that any “normal” student at our school could not, we could understand each other. However, Rob is twenty-six; I am nineteen. He has a few very important years on me. He got married two and a half years before I did, and he and his wife just had their first child last November. He also graduated a semester before me. Because of this, he’s been able to impart wisdom to me and help me learn how to deal with life, based on his own similar experiences. This has also given him space to challenge me to do what is right, to best model Christ. In all of this, he has shown me more love than I could have ever expected to receive from a friend, and has helped me to grow as a person of faith. In many ways, he is much like a father to me. And I couldn’t be more grateful to have him in my life. Dear Rob, thank you for being my big brother/semi-father/friend. You are an amazing man, and much more wise than one might expect. I don’t know how you’ve continued to put up with me, but I plan on annoying you with my presence as long as you can stand it. You and Heather have provided me with a wonderful picture of marriage that I strive to model in my own marriage, and I only hope that I can be as good of a mother someday as you are a father to Brennan. You challenge me not only to work hard but to do so for the right reasons, and in everything, to be like Christ. You’ve kept me sane and you’ve brought me an incredible amount of joy. Happy father’s day. Love, Denika. P.S. Yankees. Not Cubs. The end. This entry was posted in Community, Love, School, The Church. Bookmark the permalink.